The Transum podcast is now available as a free download. You can paste the URL below into your podcast program to subscribe. 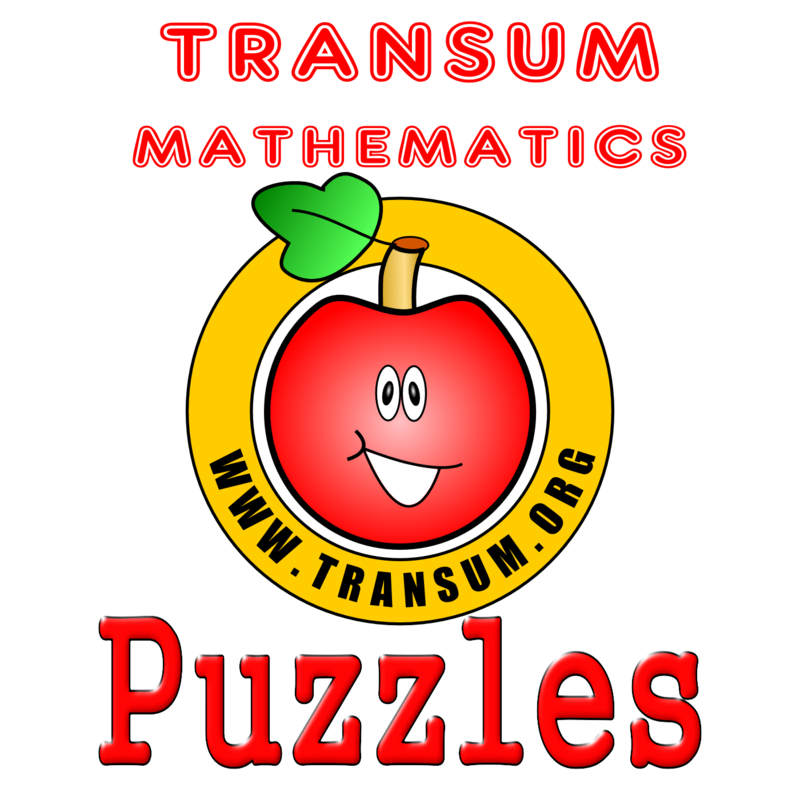 A new episode is produced at the beginning of each month and contains a round up of developments on the Transum Mathematics website as well as a puzzle of the month. "Thank you for the podcast! I really enjoy the puzzles. This relates to the 5/29/15 podcast re: coin flipping game that was stopped before completion. The flips when stopped were two Heads and one Tail. You indicate that the options on next 2 tosses are HH, TH, HT, and TT. Since the game stops when one person reaches 3 points, wouldn't HH and HT be the same, as the second flip isn't needed? This seems to match your ultimate answer of 75% and 25%, though ... with the person with Tails only winning with TT, which is 25% chance. I get the same answer but intermediate steps differ. Am I looking at this incorrectly? Thanks!" "Dear Eric, Thanks so much for your observations and you are completely right. The only reason I chose to list the next two outcomes was to produce ‘equally likely’ outcomes making the arithmetic very slightly easier. I’m glad you enjoy the puzzles."